Who Pays for Rental Repairs? A common reason for landlord and tenant disputes is the condition of the rental property. Even in cases where the lease sets out the respective responsibilities, that may not be the final word. There is an easy rule of thumb for deciding who is responsible for rental repairs: If the tenant broke it, they have to pay to fix it. Otherwise, it’s the landlord who is responsible for the cost of repairs. That’s because tenancy laws create a special duty for landlords: the duty of habitability. Landlords must maintain the property at a minimal standard of fitness. For instance, in British Columbia, that means maintaining the property so it’s “reasonably suitable for occupation given the nature and location of the property.” In Ontario, the standard is “a good state of repair and fit for habitation,” while in Alberta premises must be in “good repair” and in compliance with all building, health, fire and safety standards. Contrary to what some tenants believe, maintaining habitability does not require frequent updates to the unit like renovations, new carpet or new paint. The task for the landlord is keeping finishes up to the standard of good repair. If, for example, the carpet is torn and someone may trip and fall, the landlord will have to repair or replace it, regardless of the age of the material. This duty of habitability can’t be mitigated by shifting the burden to the tenant via the lease agreement. Tenants, on the other hand, have a duty to keep the property clean and in line with health standards. Tenants are responsible for the cost of repairs if the damage to the rental property was caused by the tenant, guests or another person living in the rental unit. 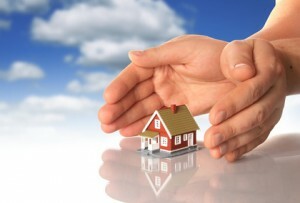 If there is an emergency at the property, tenants generally must notify the landlord first, before making any repairs. However, if the landlord is slow to respond, the tenant may be able to contract for repairs and then bill the landlord for the expenses. It’s never in a landlord’s best interest to allow the tenant to oversee repairs. A landlord is in the best position to choose contractors, keep repair costs under control, and track repairs made to the property. Generally, if a non-emergency repair is needed, the tenant must continue to pay rent. However, tenants can seek dispute resolution if repairs are slow, and may be entitled to rent reductions. for each month the landlord fails to make the repairs. The officer in this case did not award the tenant any compensation for bent screens, because it was unclear whether this affected habitability. Also, the officer denied the tenant’s claim for a rent reduction due to bedbugs, finding that the tenant had not proven the case. However, the officer did warn the landlord that, once an allegation about bedbugs is made, the landlord has a duty to inspect the rental property.